Radiofrequency energy stimulates collagen by heating the dermis without causing any damage to the surrounding tissues or the outer layer of the dermis to firm, tighten and lift sagging skin on the face and body. 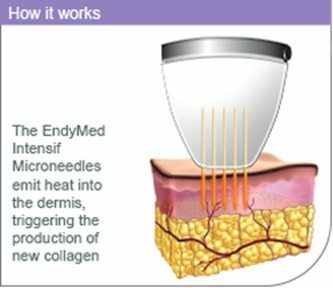 The energy from the heat delivered to the collagen causes it to shrink, which immediately alters the appearance of skin, while also triggering the production of new collagen. This collagen remodeling helps to make the skin look younger and firmer, tightening loose or lax skin and improving tone and texture. 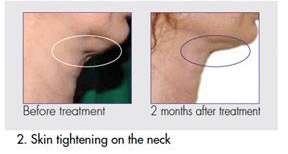 EndyMed’s RF Facial Tightening handpieces are specifically designed for the treatment of wrinkles, tighten and lift sagging skin on the face and neck, including the forehead, cheeks, under the chin and neck. EndyMed’s facial tightening handpieces offer superior results, particularly in the delicate, sensitive and hard to treat areas around the eyes and mouth. The new ontourhandpiece by EndyMed combines the power of focused 3DEEP energy with the benefits of tissue lifting to provide the ultimate in cellulite reduction and body contouring treatments. 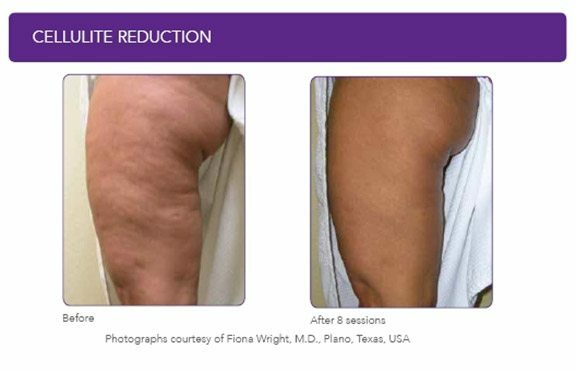 RF energy delivery and volumetric heating of the treatment area, achieving higher treatment temperatures for superior contouring, tightening and cellulite reduction. This improves blood circulation and allows for better cell metabolism and the elimination of fat. Course of treatment is typically 6 treatments, depending on the patient. 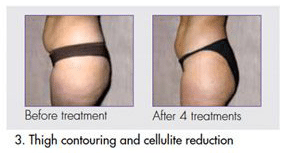 Treatments are given every 1-2 weeks for optimum results. energy deep into the dermis, providing a revolutionary collagen remodeling solution for acne scar treatment, deep wrinkle reduction, with minimal discomfort and downtime. according to the treated lesion. Multiple adjustable parameters such as depth of needle penetration, energy level and pulse duration enable the physician complete control over the course of the treatment, providing maximum results for each patient, regardless of skin type or skin color and impedance. 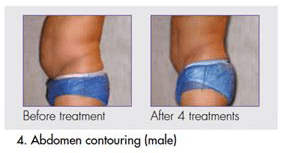 Throughout the course of the Intensif treatment and for months afterwards, the damaged tissue will be replaced by new, healthy and younger looking tissue. 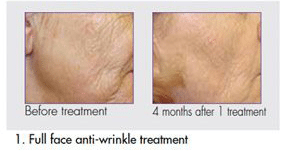 The treated skin will become smoother, tighter and more vital. As most of the energy is delivered directly into the inner layer of the skin, patients will experience minimal downtime and may resume normal activities immediately after treatment. Course of treatment is typically 3-5 treatments, depending on the patient. 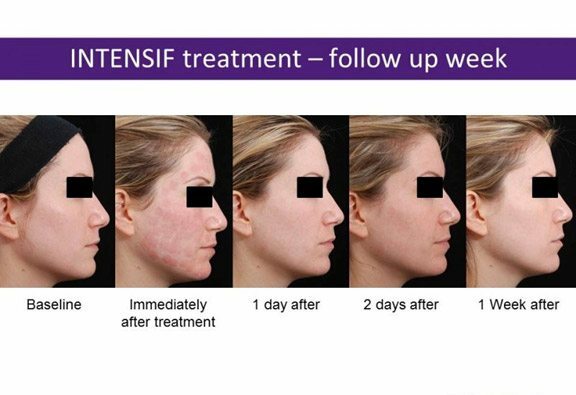 Treatments are given every 4 weeks for optimum results. 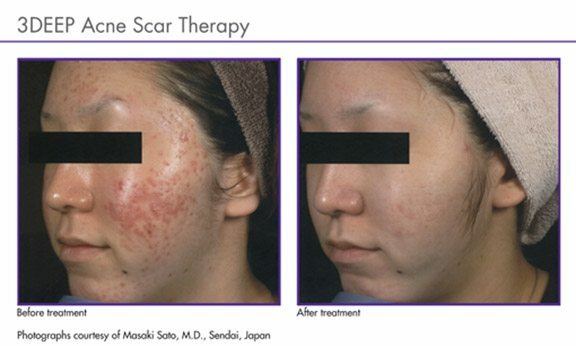 RF microneedling can also work well with other complementary services.